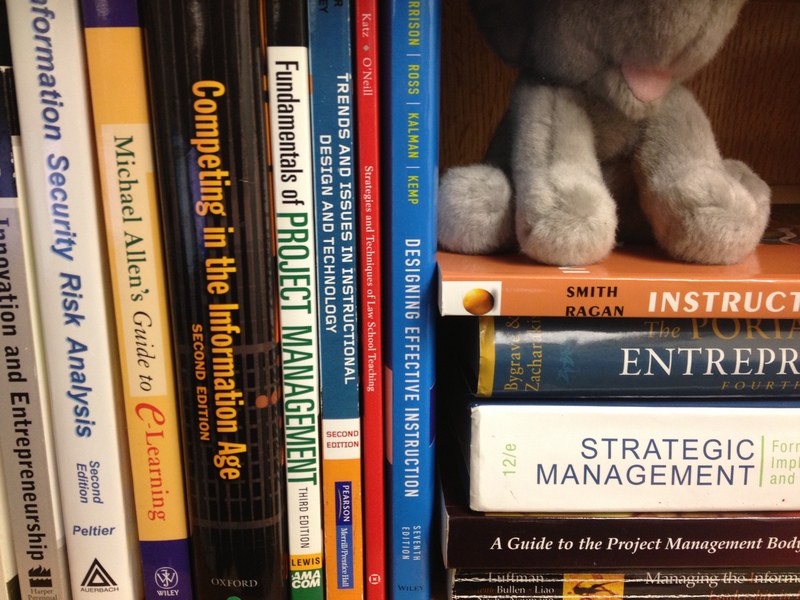 What’s on the bookshelf of an Instructional Designer? 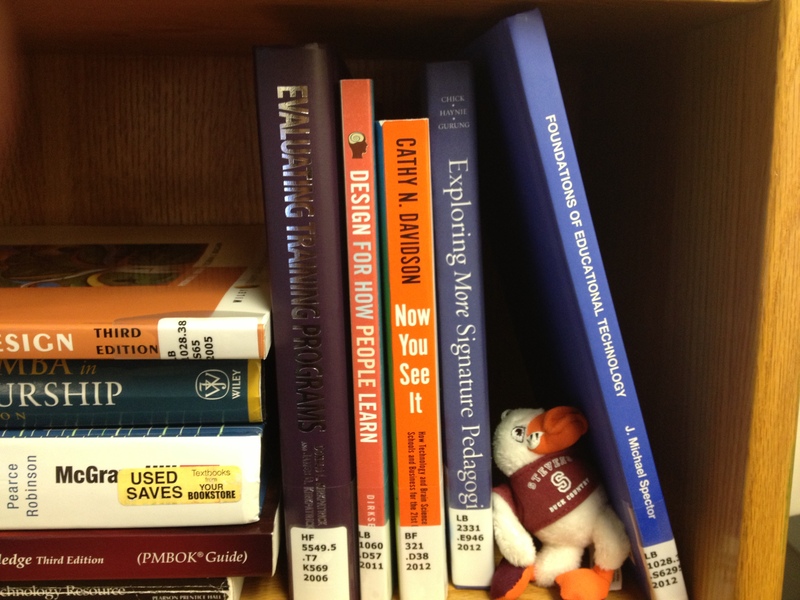 Mine has a mix of eLearning, Instructional Design, IT, and Management titles, not to exclude my stuffed Steven the Duck mascot from Stevens Institute of Technology or my friendly San Diego Zoo elephant. Instructional Designer at Hulu, Ed Tech and Project Management enthusiast. 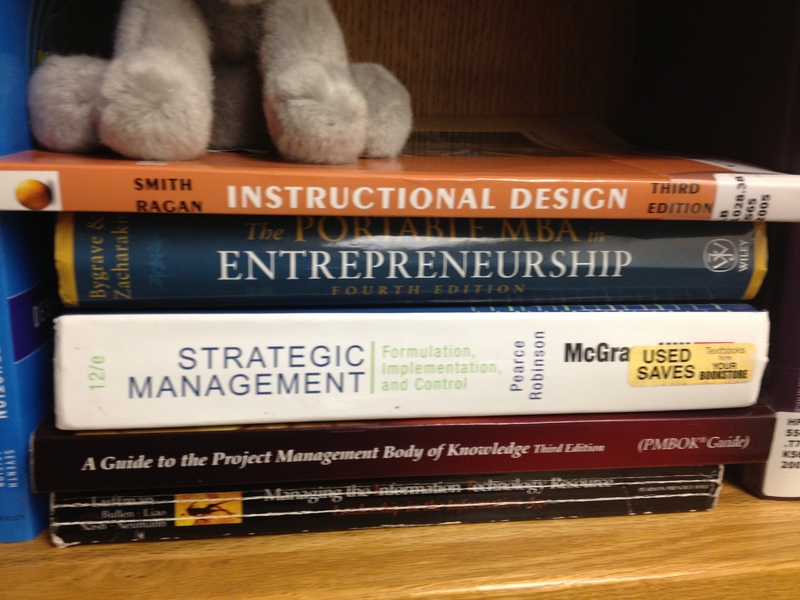 MBA Technology Management, MS Management, BS Communications, Traveler and Cook. 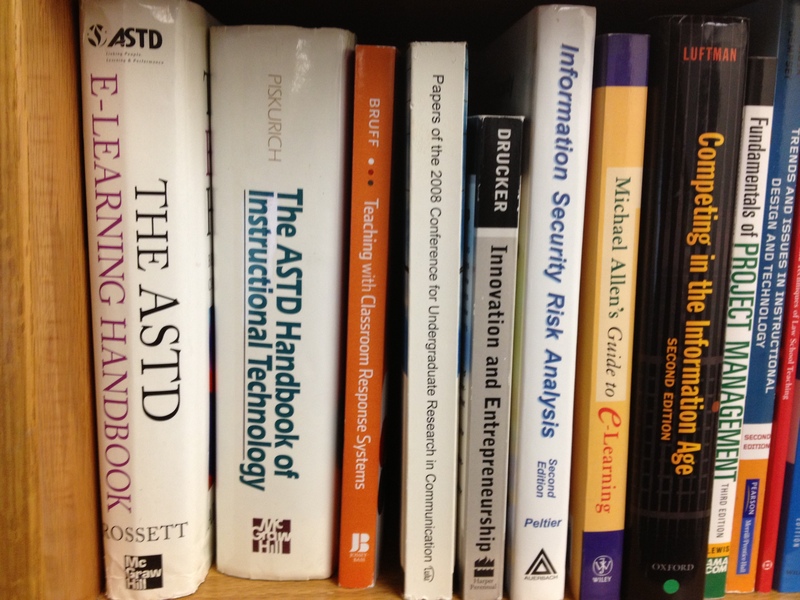 Posted on July 18, 2013, in Educational Technology, Instructional Design, Management, Project Management, Tausend Talks Shop, Technology Management and tagged Books, Bookshelf, EdTech, Instrucional Design, Resources. Bookmark the permalink. Leave a comment.